Rabbi Shmuel Karnowsky became the Senior Rabbi of Elwood Shule in October 2015 (watch), after serving the Congregation as Outreach Rabbi since 2008. Born and raised in London, Rabbi Shmuel undertook his studies at Rabbinical Colleges in London, Israel and America. He received his Smicha (Rabbinical ordination) in 2004 from the West Coast Rabbinical Seminary in Los Angeles California. Rabbi Shmuel came to Elwood Shule with a wealth of experience of all facets of community life, from his 6 years of work as Outreach Rabbi and Program Director at the JCC Chabad in Manhattan Beach, California. 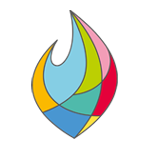 In addition to his rabbinic studies, Rabbi Shmuel often participates in Personal Development courses, which have included topics such as leadership, counselling, mediation, responding to disclosure of family violence and responding to disclosure of sexual abuse. Rabbi Shmuel is a Committee Member of the Rabbinical Council of Victoria. In March 2017 Rabbi Shmuel was appointed as a Victoria Police Chaplain. He is also a keen cyclist and runner. Rebbetzin Rivki is a warm, outgoing and dedicated, wife, mother, friend and educator. Born and raised in Melbourne, Australia, she grew up in a home which was always open and welcoming. She completed her studies at Beth Rivkah and advanced her studies in Israel. Besides for leading the Sisterhood programming at our Shule, she is also a most loved Prep teacher at Yeshiva College. Rabbi Shmuel and Rivki met in California, married in 2004 and have 5 wonderful children - Yaakov, Mendy, Reuvi, Shaina and Menucha. 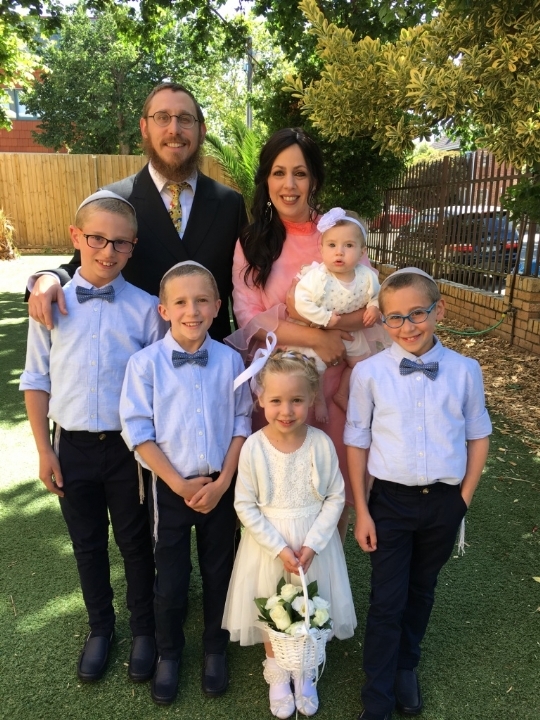 Together, Rabbi Shmuel and Rivki and their beautiful children are the driving force behind the growth, warmth and energy of our Shule community. 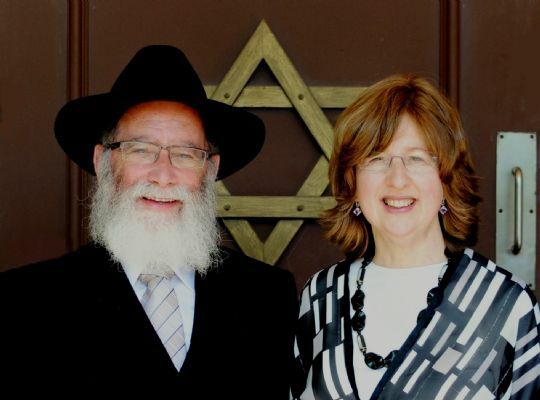 Rabbi Mordechai & Rebbetzin Sara Gutnick led and served our congregation with distinction from 2002 until 2015. Over the years they guided, educated, counselled and nurtured this community, with integrity and wisdom, and with compassion and sensitivity. In 2015 they handed over the position of Senior Rabbi & Rebbetzin to Rabbi Shmuel & Rivki Karnowsky and upon his retirement in 2017 Rabbi Gutnick assumed the position of Rabbi Emeritus. Aside from his Elwood Shule role, Rabbi Gutnick has served the Australian rabbinate for almost 40 years in a number of leadership roles, including President of the Organisation of Rabbis of Australasia as well as of the Rabbinical Council of Victoria. He is currently (2017) Senior dayan of the Melbourne Beth Din and rabbinic administrator of Kosher Australia.